Integral Powertrain Ltd’s Emissions and Climate Testing Centre (ECTC) has just added a HORIBA MEXA-2000SPCS Exhaust Gas Particle Counting System to increase the range of services to clients, available immediately. The MEXA-2000SPCS is a compact Particle Counting system with an updated, simplified operation. It encompasses the latest amendments to legislative requirements and is a recently introduced addition to the HORIBA Condensate Particle Counting range of systems in compliance with the requirements of ECE / TRANS / WP 29 / 2008 / 62 which is the basis of EU 5/6 directives, including Particle Counting. 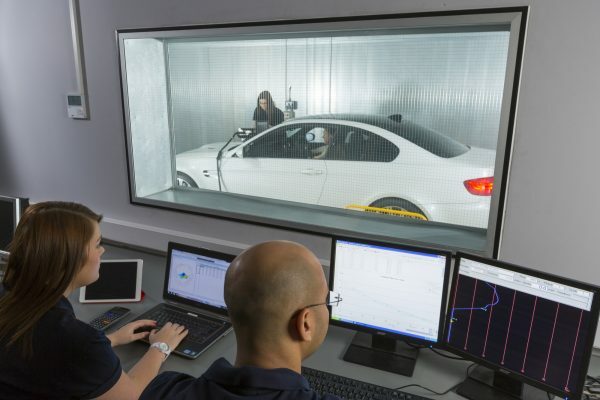 The Emissions and Climatic Test Centre has established two wheel drive (2WD) and four wheel drive (4WD) chassis rolls capable of testing gasoline, diesel, hybrid and electric vehicles for ECU calibration development, CO2 emissions optimisation, On Board Diagnostic (OBD) compliance testing and vehicle certification sign-off. The 4WD cell includes cold climatic capability to – 20 ˚C for emission development and testing. Static vehicle cold testing is also available with a 3 vehicle soak and a temperature range of -35˚C to +30 ˚C. These are exciting times to be part of the UK automotive industry. Integral Powertrain, conveniently located in the heart of the UK, is working with their clients to deliver the high value products and services that they require to continue the development of their businesses. Learn more about Integral Powertrain’s advanced Emission and Climatic Test Centre (ECTC), or contact us directly.